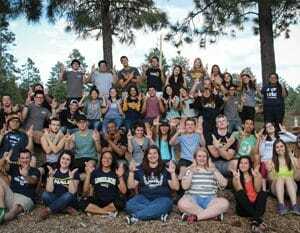 What are mentoring programs like at NAU? 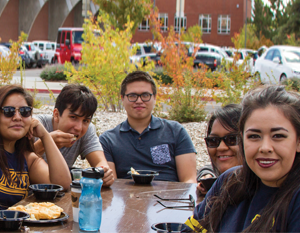 NAU offers mentoring programs catering to a wide variety of students. The programs provide a guide who offers support and reflection during a time of personal growth and transition. Topics can focus on classroom engagement, campus resources, or community involvement. Mentoring also encourages behaviors that support academic success, self-discovery and personal development. These programs help students gain skills that provide a foundation for success while building supportive relationships with peers and staff. Who it’s for: Students who want to develop and refine study skills and improve academic performance. About the program: Academic Peer Mentors work with students to develop the study strategies and transitional support necessary to succeed in and beyond the classroom. Through targeted, one-on-one sessions, these mentors help students improve academic performance, connect with resources, and create a plan for success. Who it’s for: First-generation college students who meet certain requirements. About the program: First Scholars aims to dramatically increase the graduation rate of students who will be the first in their families to earn a four-year degree. The program offers an annual scholarship, one-on-one progressive mentoring, and personal development and enrichment through workshops and service learning opportunities over the course of four years. Who it’s for: Students who identify as part of an underrepresented student population. About the program: ID Scholars provide a supportive environment and experience for the personal and academic progress of students. The program uses individualized services to facilitate holistic student development through academic, emotional, intellectual, and social growth. Who it’s for: First-time NAU online students. 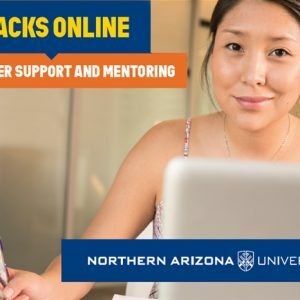 About the program: Jacks Online is a peer mentoring program designed to assist students with their transition to online learning and to help them feel connected to the NAU community. Peer mentors, who are online students themselves, provide individualized support, encouragement, access to resources, and accountability. Who it’s for: First-year, transfer, online students who identify as Native American, Alaska Native, and Native Hawaiian. 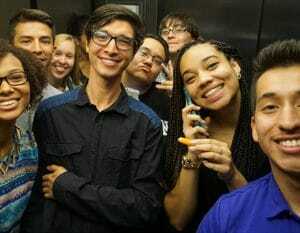 About the program: OISS mentors outreach to new incoming Native/Indigenous students to provide strategies for success, learn about campus resources, acclimating to campus life, and making new friends. Who it’s for: First-year students from out of state. About the program: Peer Jacks assists students in making connections and building community through one-on-one mentoring and on- and off-campus events. The program provides educational and social opportunities that lead to academic success. Participating in the program enhances students’ first year experience, sense of belonging and transition to the university. Who it’s for: First-year students who want to live with others sharing their major or interest. About the program: Residential College Ambassadors (RCAs) assist freshmen with their transition to campus through a shared residential experience, grouping participants by interest or academic major. 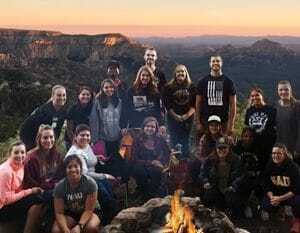 Community mentors coordinate programs and interactions that build strong connections with other RLC students, faculty and staff. Who it’s for: Students who are first-generation, low income or foster students, or those with a documented disability. About the program: SSS offers mentoring, coaching and connections to first-year and other eligible students. 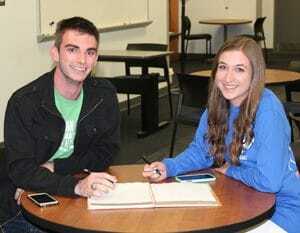 Freshmen receive mentoring from juniors and seniors and join a small support network of peers. The programs adapt to help sophomores, juniors and seniors get the individual mentoring and coaching they need. Who it’s for: Arizona residents who identify as First-generation or Pell-eligible. 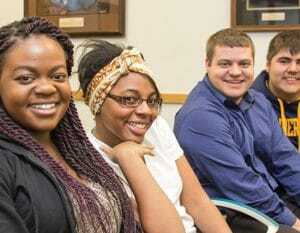 About the program: STAR is a residential summer bridge program where students live on campus while taking two classes for college credit, build peer connections through social activities, develop stronger academic skills through increased support, and learn how to be a successful college student. Who it’s for: Students transferring to NAU, and students that commute to campus. About the program: Transferring from another school can be challenging, and students often face academic, social, and personal adjustments as they transition. Through mentoring and events, students are encouraged to get involved, connect with peers, and access campus resources. Who it’s for: Students who identify as veterans, transitioning from military life to NAU. About the program: The “VET” Mentoring Program provides a welcoming and supportive environment at Northern Arizona University. The VSC connects incoming veterans with a peer point of contact for information, support, and help transitioning from the military to the college setting.